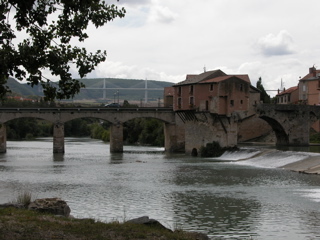 La Ligne Verte has settled in a small village in the Valley of the Tarn, 60 km from Millau and Albi, called Broqui�s. 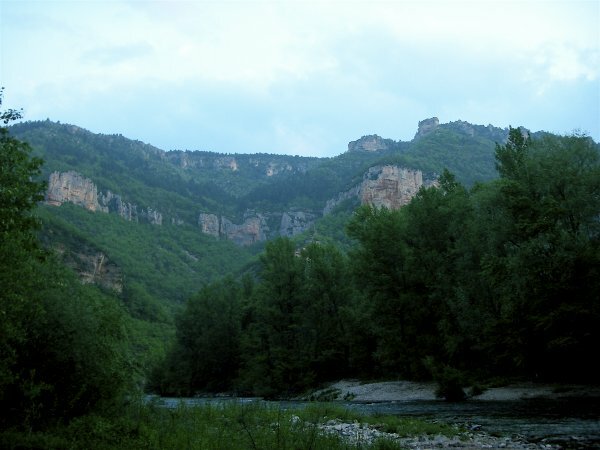 This part of the course of the Tarn is called the "Gorges des Raspes" and is attractive for those who like quiet, simplicity and unspoiled nature. 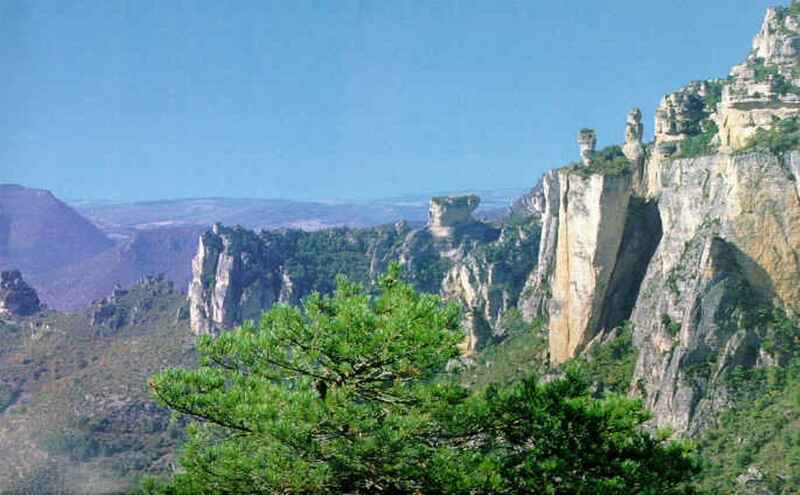 It lies in the Parc R�gional des Grands Causses in South-Aveyron. 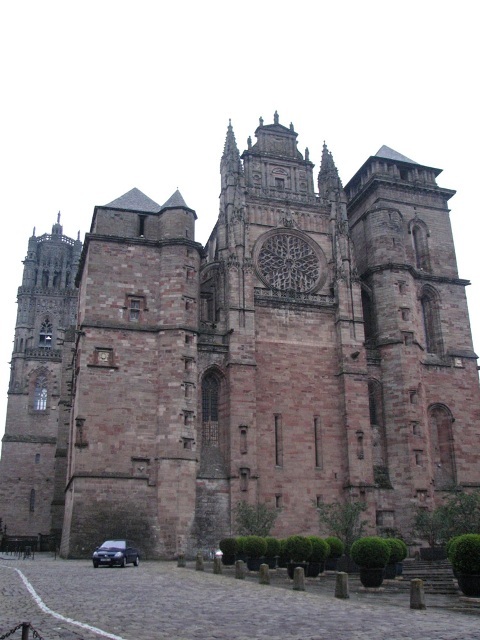 Aveyron is also a rich source of (ancient) culture: the district of Templars, medieval cloisters and places of pilgrimage. 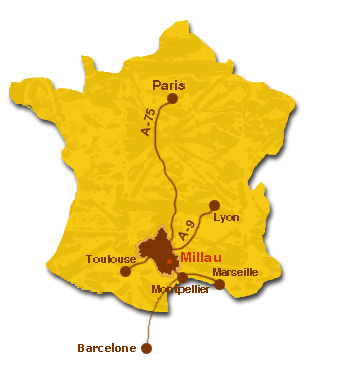 And... apart from the cyclists and hikers, a renowned district for bird-watching, mountain-biking, (fly-)fishing, but above all a region for those who seek nature, piece, quiet and vistas of mountains, valleys and plateaus, called Causses. 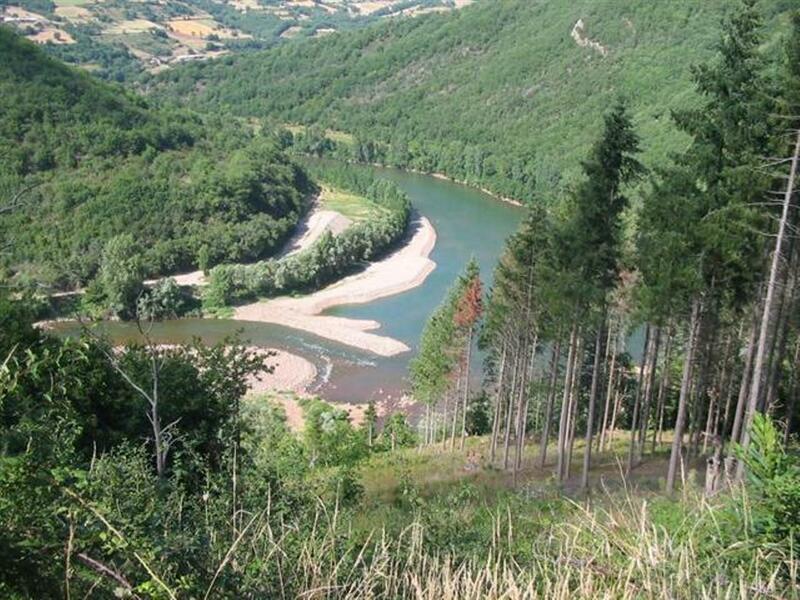 Find here some pictures with views on Sud-Aveyron. 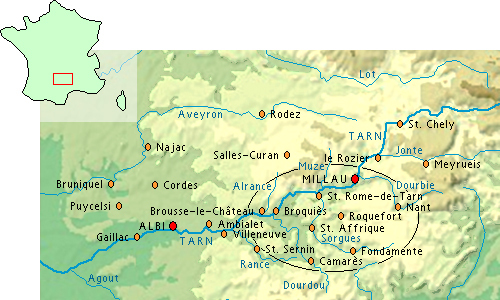 also includes the Causse du Larzac with its restored Medieval Templars garrisons from where crusades set oput in 10th-13th centuries, and the Redlands of Camar�s with its Cistercienzer Abbaye de Sylvan�s. 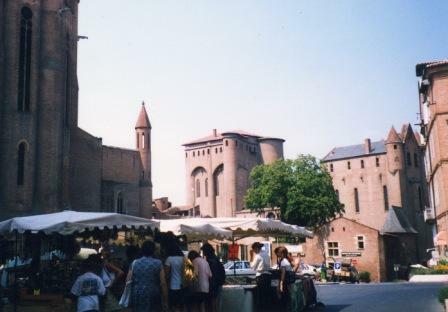 St.Affrique, a small Southern town, is the starting place of many walks in this walking area. The landscape exudes peace and unspoiled natural beauty. Shepherds will be your only company during hours of walking. 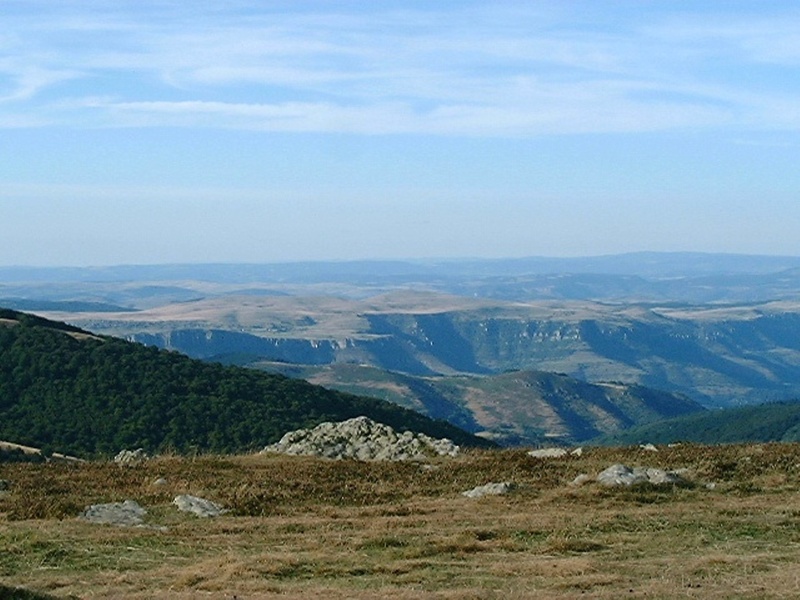 East of this nature park you'll find the Cevennes mountains.